Not much sense in making new BTR82's when the Boomerang is almost ready to go into production. That we shall see, i dont belive anything till i see them rolling from the production line, and even if/when they do, naval infantry will again be the last to get them. What i am saying is that they should deliver them more of these refubrished BTR80 models, coz look what they are using on the video, its kinda sad. Hopefully they do, i feel abit sad when i see those PT76 and BTR60s... Kurganets in form of light tank with 120mm gun, mortar carrier and APC/IFV on Kurganets platform would greatly improve their performance. MOSCOW, September 10. /TASS/. About one thousand Marines of Russia’s Caspian Flotilla have begun live firing practice, which is part of the surprise combat readiness checks of Russia’s military units in the Central Military District declared earlier this week, Colonel Gennady Gnezdilov, deputy chief of the Russian Navy’s coastal forces said on Thursday. "The Marines have begun a number of control measures, including live firing practice with the use of standard small arms and weapons mounted on combat vehicles, tactical operations and combat vehicles’ drive tests across rugged terrain, Gnezdilov said. 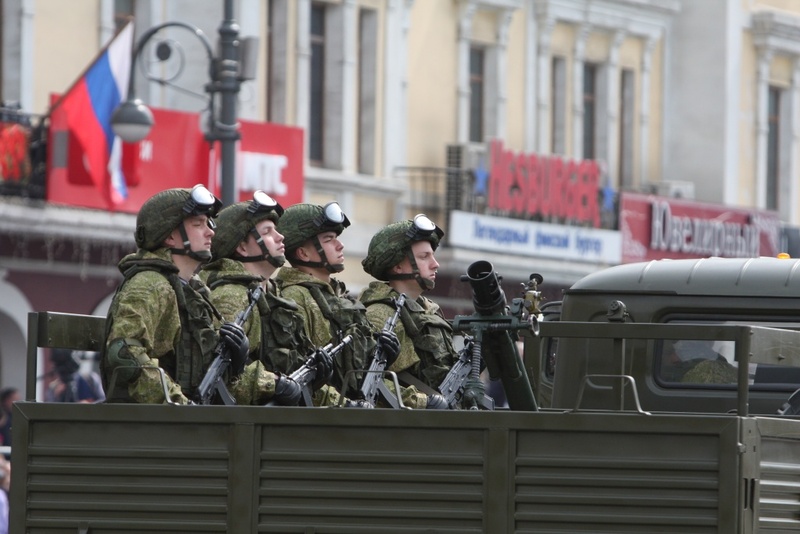 He said more than 100 pieces of military hardware were involved in the firing practice. According to earlier reports, about 40 naval and support ships of the Caspian Flotilla left for high seas. 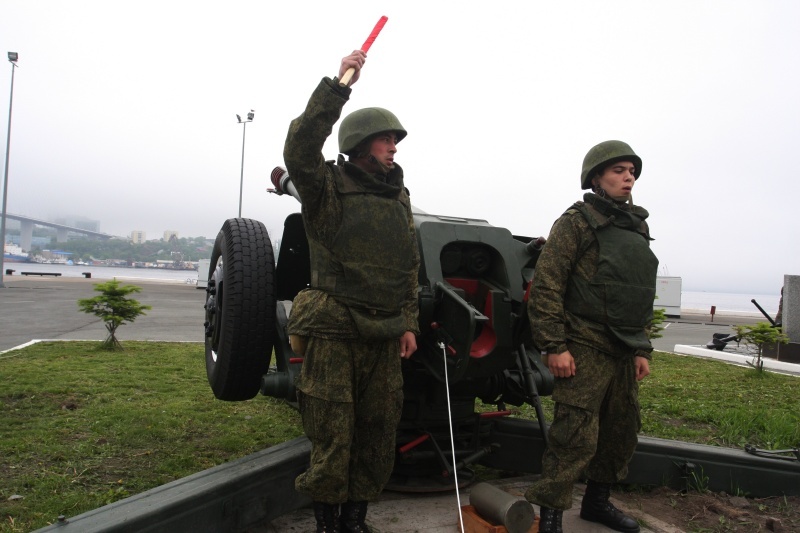 Some Marines were moved to the artillery proving ground Pesko and Adanak. A total of 3,000 troops and 120 pieces of military equipment are involved in the combat readiness check on the Caspian. 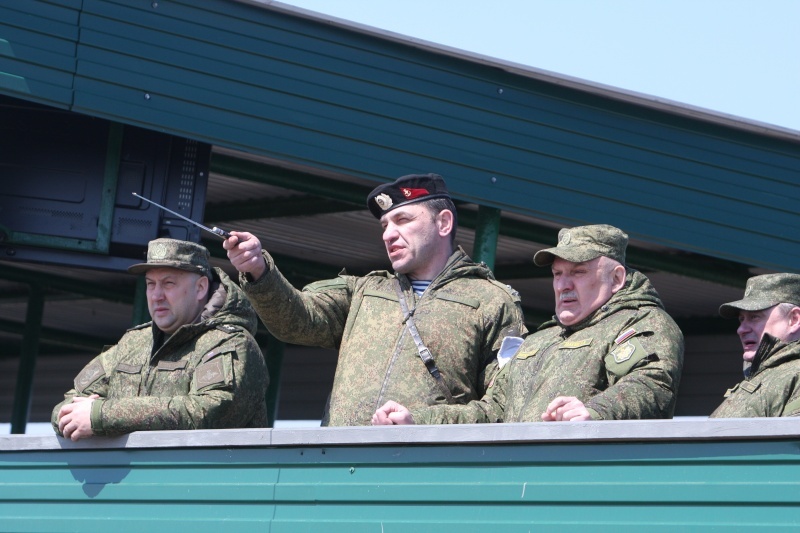 The surprise combat readiness checks in the Central Military District began last Monday, with aviation from other military districts, airborne troops and military transport aviation taking part. All in all the checks encompass 95,000 troops, 7,000 pieces of military hardware on the ground, and 170 aircraft. 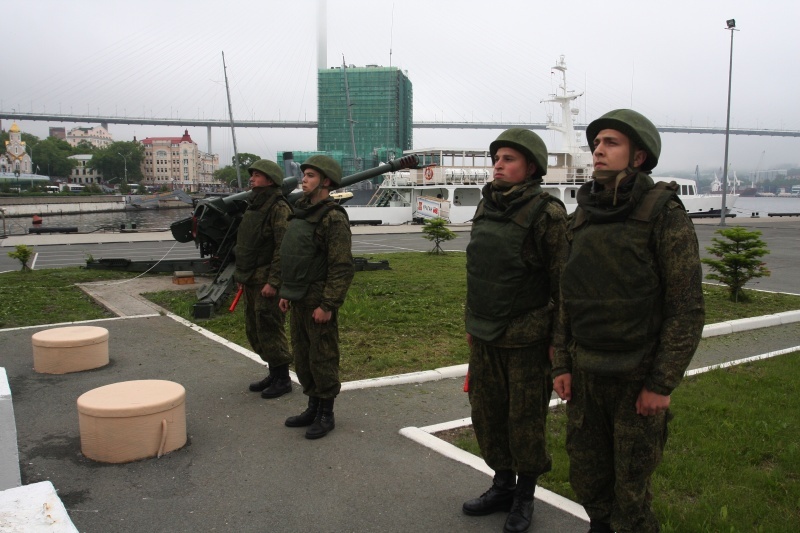 MURMANSK, September 15. /TASS/. A group of Russian Northern Fleet warships practised an amphibious Arctic landing exercise on Tuesday, the fleet press office told TASS. 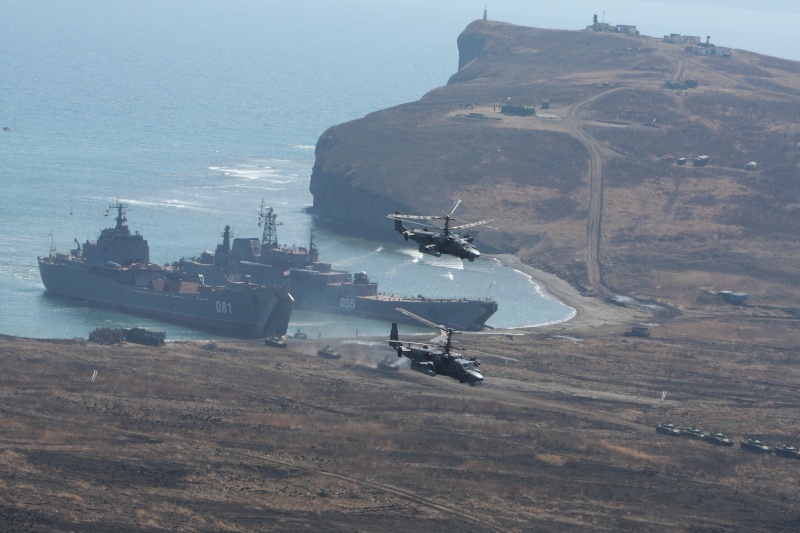 The Northern Fleet's Georgy Pobedonosets and Kondopoga large amphibious assault ships reaching Russia’s New Siberian archipelago on Monday, landed marines on Kotelny Island on Tuesday. 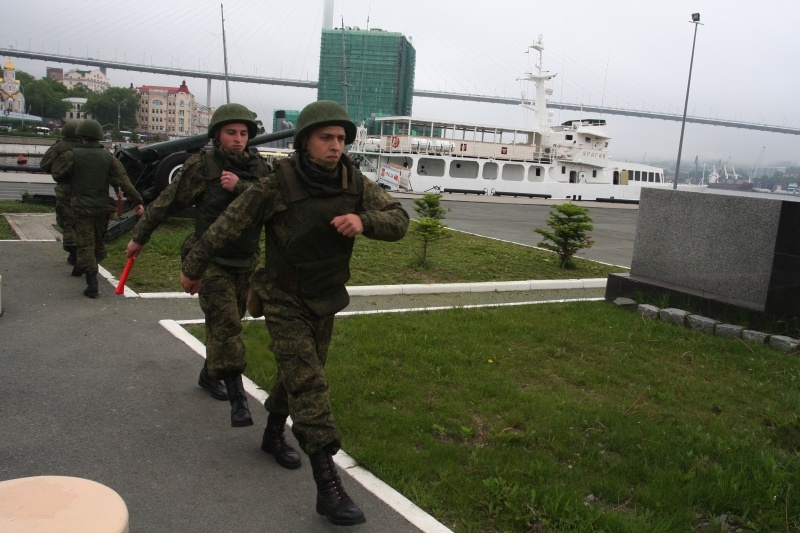 Arctic brigade units took part in an amphibious operation of this kind for the first time. "The exercise in amphibious landing onto rough terrain started with the support of shipborne aircraft. Two Kamov Ka-27 [NATO reporting name: Helix] shipborne helicopters took off from the large antisubmarine ship Severomorsk to transport advance parties to the western shore of Kotelny Island," the press office said. 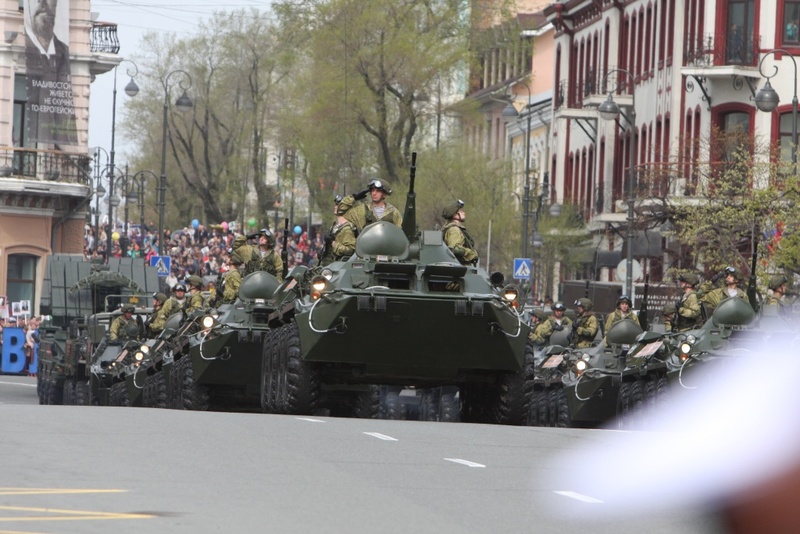 Then the Georgy Pobedonosets started to land amphibious troops. The ship arrived at the landing site and offloaded vehicles, equipment and personnel. The Kondopoga was the second to land marines on Kotelny Island. 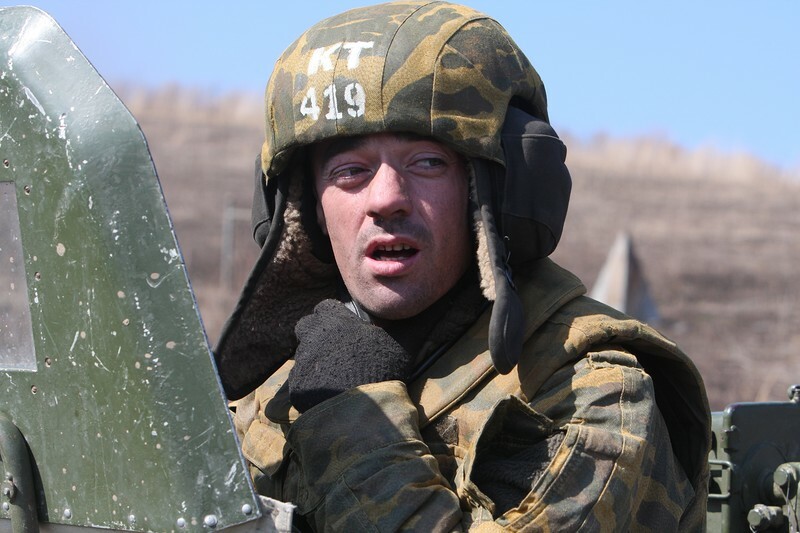 More than 230 servicemen from the Arctic brigade and 30 pieces of wheeled and tracked vehicles, including articulated tracked amphibious snow and swamp-going vehicles with high cross-country ability and MT-LBV multipurpose tractors, were carried to Kotelny Island during the exercise. Quad bikes recently fielded with the Arctic brigade will be tested in harsh conditions of the Arctic Ocean islands for the first time. After fighting for amphibious landing and securing positions on the shore, the Arctic brigade’s units moved inland towards the base camp. During the ships’ stay off the New Siberian archipelago, they will have to conduct all-arms forces’ exercise to protect the archipelago and the Russian Arctic coast, the press office said. 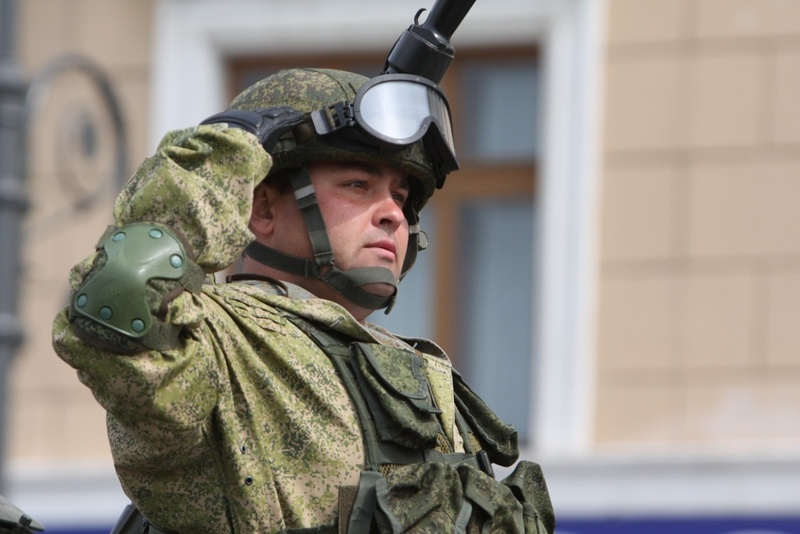 Russian marines used advanced reconnaissance and missile systems to liberate the coast from "terrorists". 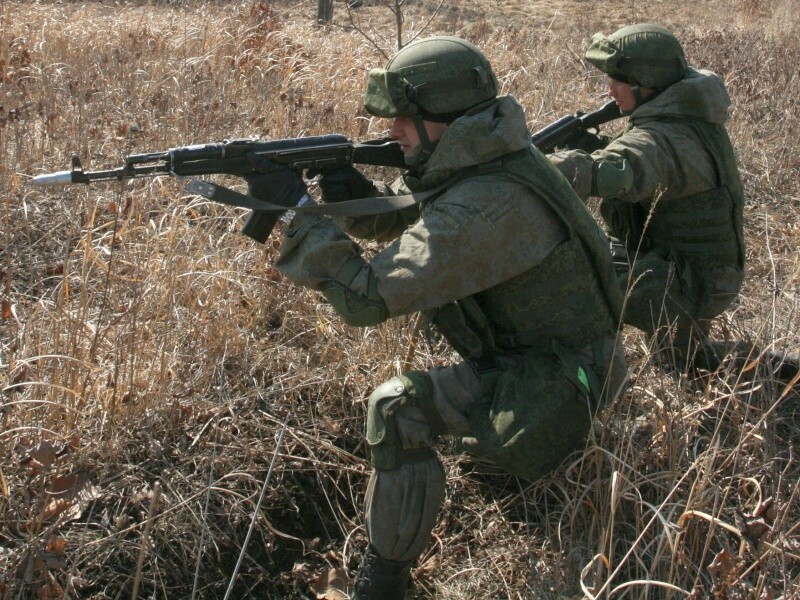 MOSCOW (Sputnik) — The Russian Pacific Fleet held assault landing exercises in the Primorsky Territory involving over 1,000 marines, 10 warships, as well as planes and helicopters, the spokesman of Russian Defense Ministry’s Eastern Military District said Monday. "According to the drills' scenario, the coast was captured by simulated terrorists. The Pacific Fleet marine units were dispatched on large landing ships to eliminate the 'enemy,'" Capt. 1st Rank Roman Martov said. He added that during the exercises, marines successfully used advanced reconnaissance and missile systems enabling troops to destroy targets within their area. 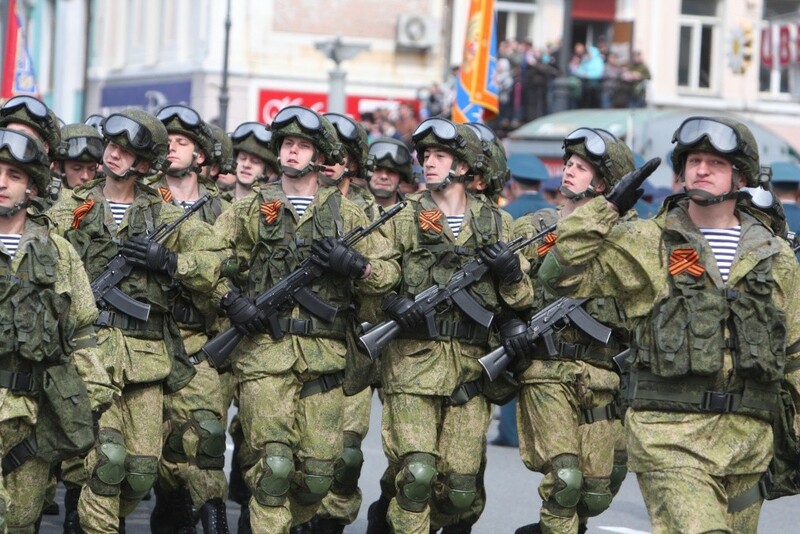 Troops also used new weapons and unmanned aerial vehicles. 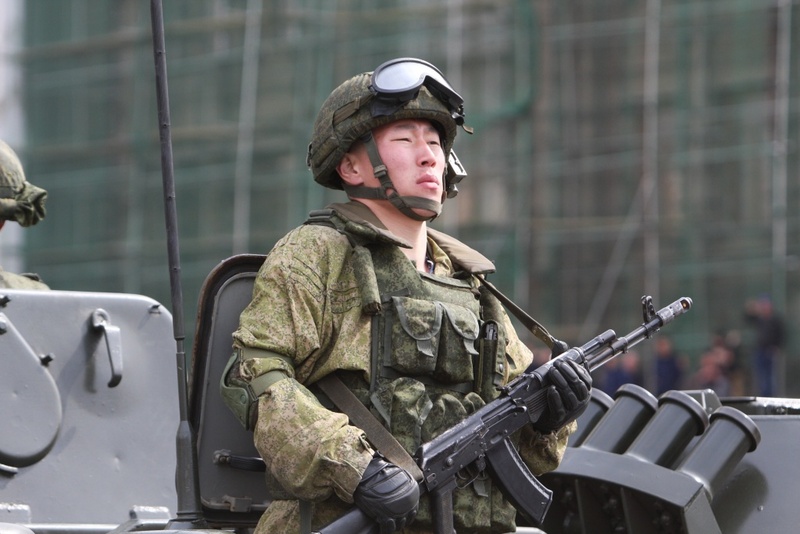 Over 80 units of military and special equipment, about 10 warships and support vessels, aircraft and helicopters of military transport, army and attack aircraft participated in the drills. Two photos of Russian Marines in Syria. Can anyone identified the type of their weapons? 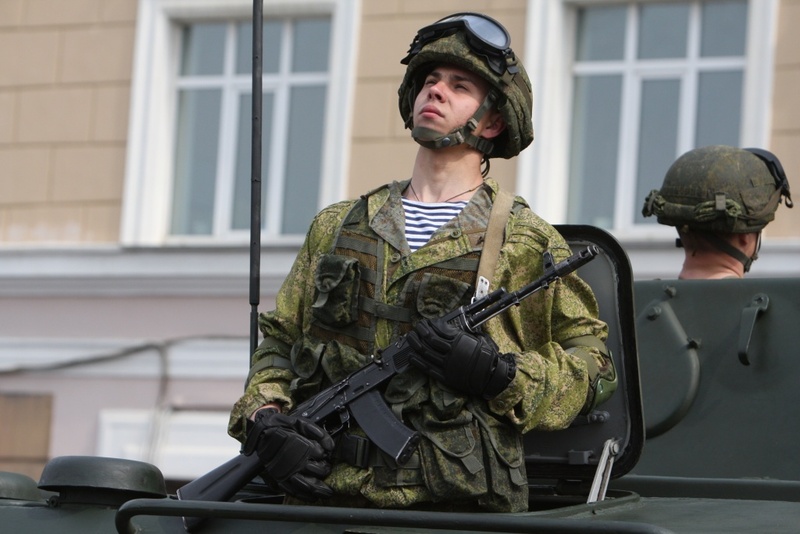 George1 wrote: Two photos of Russian Marines in Syria. Can anyone identified the type of their weapons? AK103 i belive and PKM. 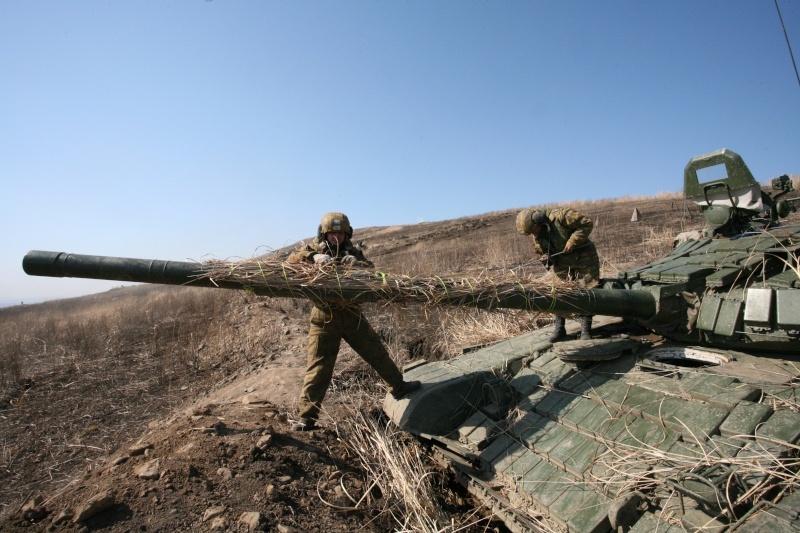 The servicemen performed marching, deployed Shilka ZSU-24 at the Radygin range, and met training qualification standards. 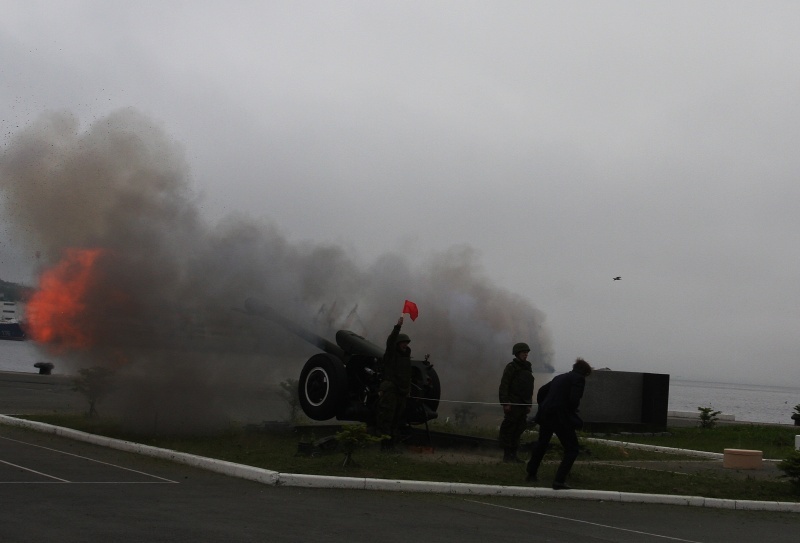 After that the air defence system crews performed firing against fast-moving targets. There are not that many Tunguskas in service i guess around 250ish. 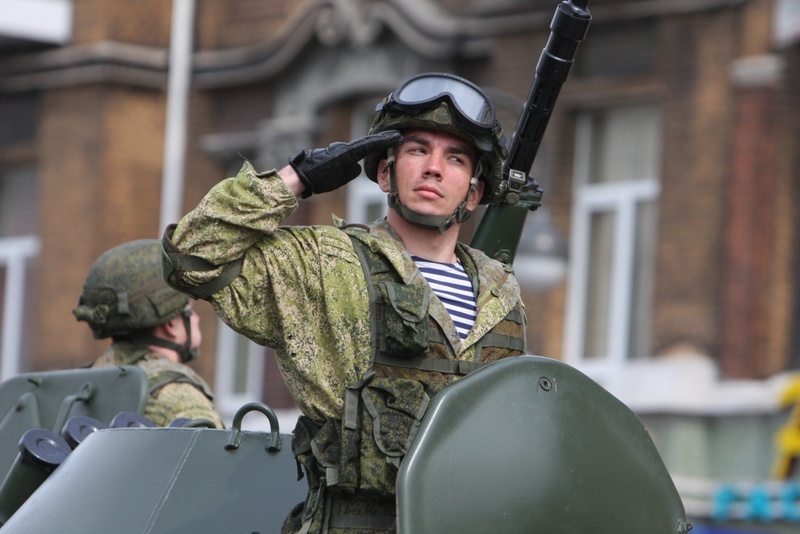 And Naval infantry is famous for having the most outdated equipment in whole Russian armed forces, BTR60, PT76, Shilka... And look at it this way, Shilka is far better than having towed ZSU-23-2. I truly hope they replaced those, havent seen them in a while. I heard they got T72Bs to replace those horrid machines some years ago. The reason for those choices is the amphibious and the weight requirements in the naval infantry. 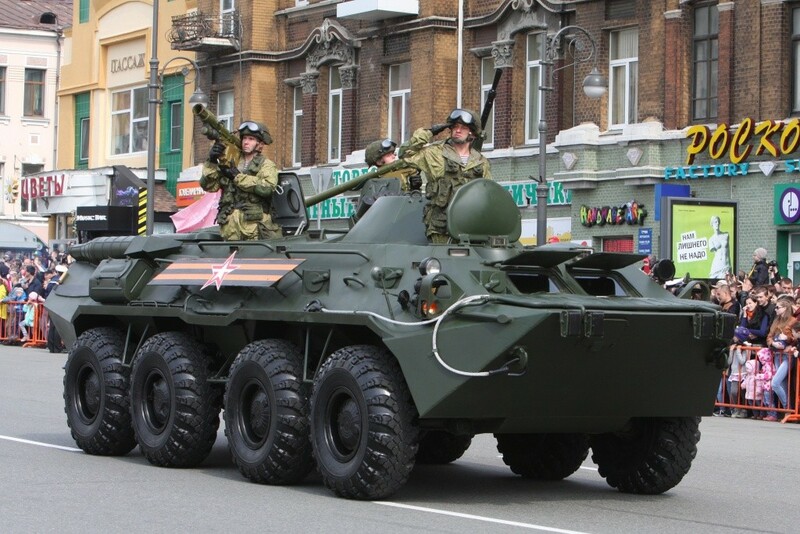 For example, the amphibious capabilities of the BTR-60, BTR-70, and BTR-80 are a lot better than those of the BMP-1 and BMP-2, and should be better than that of the BMP-3 even, hence the BMMP. 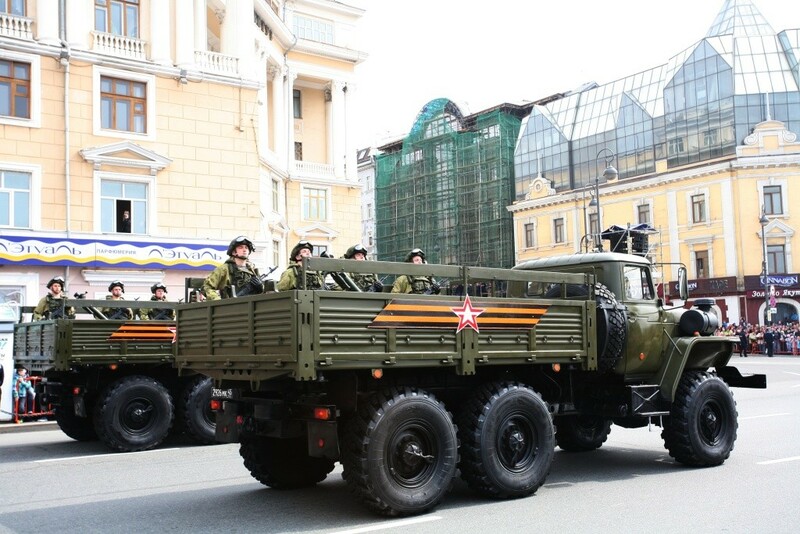 Someone knows if the BTR-70s of the Russian Marines have been replaced in the active service? 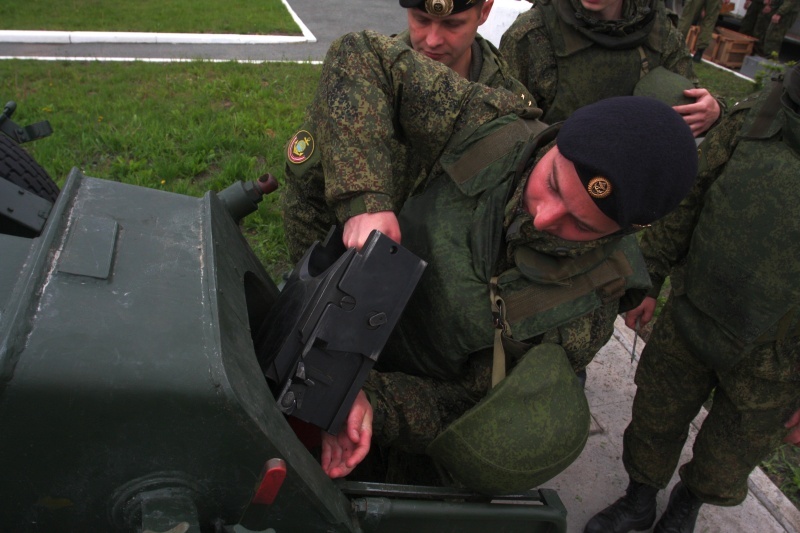 eehnie wrote: Someone knows if the BTR-70s of the Russian Marines have been replaced in the active service? If replaced in the Russian Marines, it is posible that the BTR-70 is not more in active service for the Russian armed forces. BTR60s are still not completely replaced. 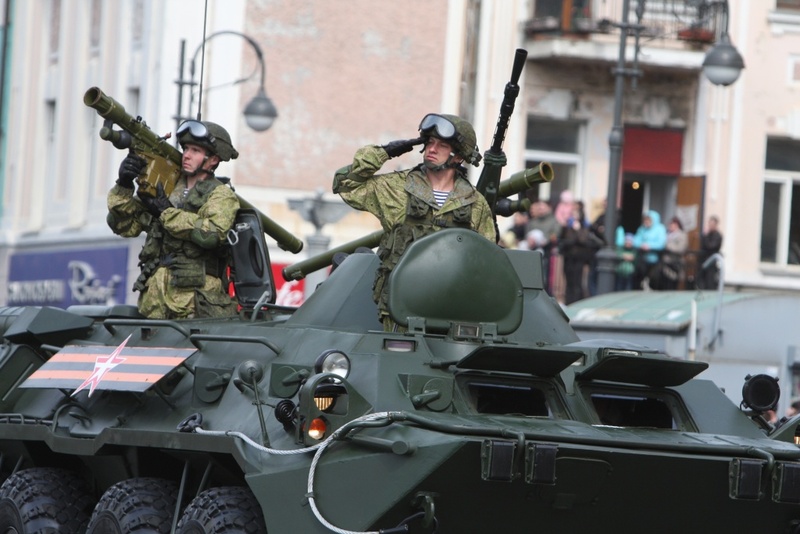 BTR80AMs started entering units last year to replace BTR60s and BTR70s. In few latest naval infantry videos you can spot those "new" vehicles. 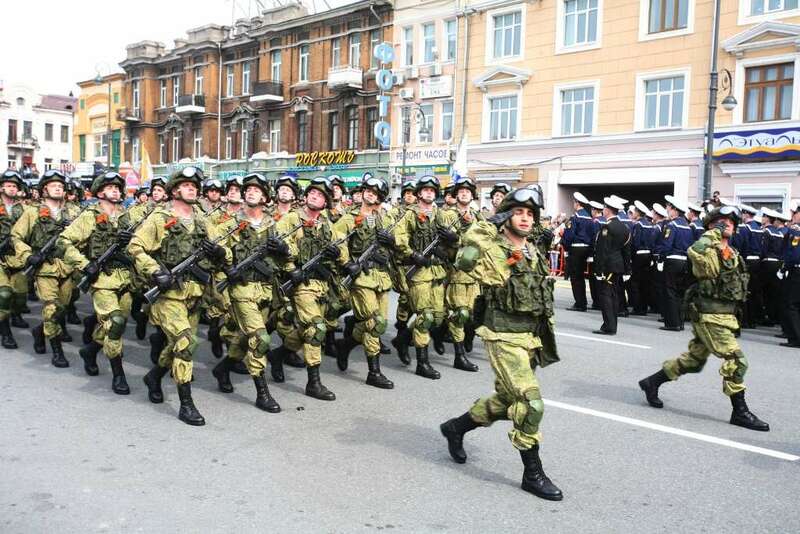 Seems they are slowly modernizing the naval infantry, as the troops looks better equipped. Although, they still need upgraded tanks. 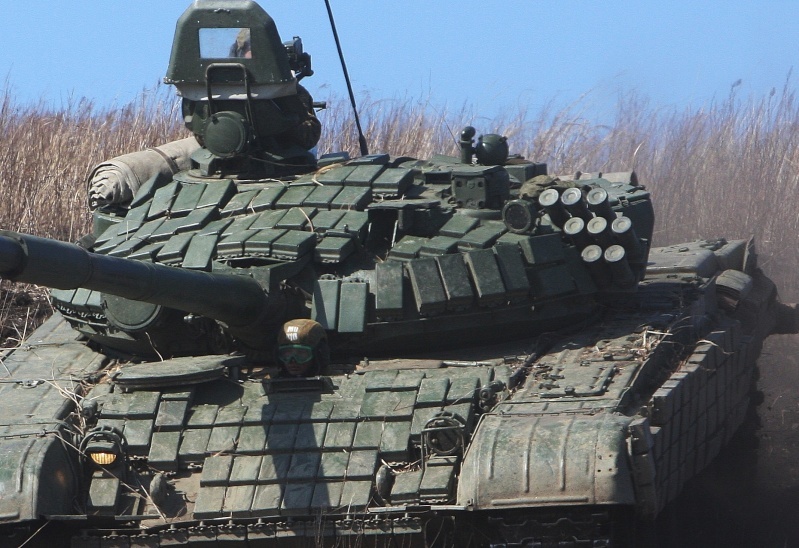 T-72B3M may be more ideal. 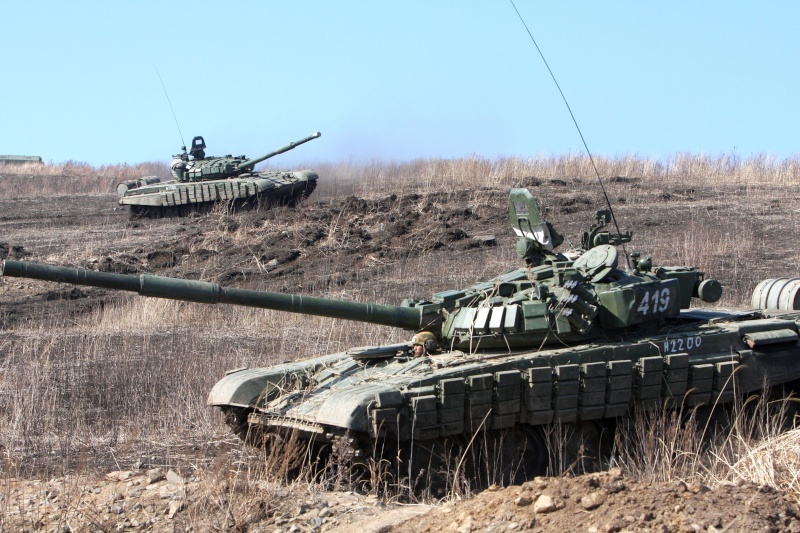 Or eventually transfer T-90's to them and upgrade to T-72's for the army. Dunno, but I always did see the Naval infantry more like the poverty brigade. 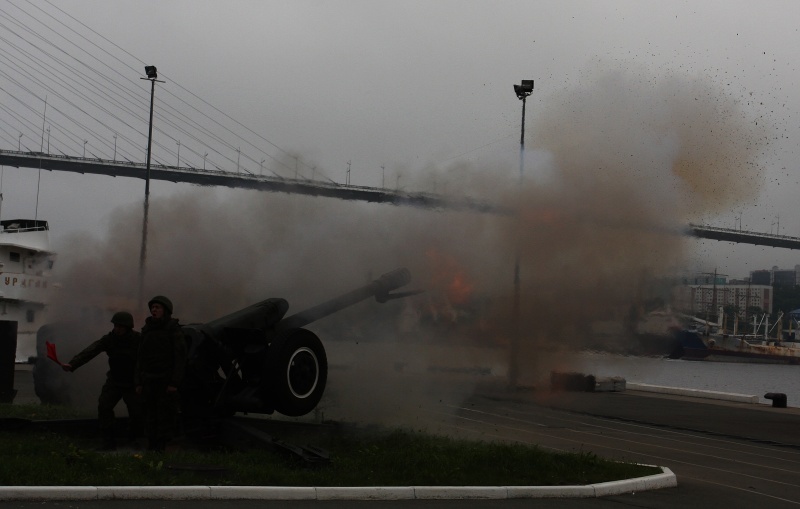 Vladivostok, 33 quay of the main base of the Pacific Fleet, was held training for the resumption of the ritual "noon shot"